Spiritual Food: Let Us Love Our Spouse! No one likes to suffer. Just about all my life I have run from or tried to avoid suffering. But when I look back at these times it seems that the suffering or problem that I tried to avoid kept coming back. During my life I have often asked myself what is the meaning of suffering. Obviously there are many types of suffering and sorrows. We all react differently to different types of suffering. Having been raised in a family with a strong, domineering father, I tend to react perhaps more strongly than others when I find myself is a similar situation. When I found myself living or working with domineering persons, I have tried my best to at least shield myself from this irritating and often humiliating situation. A few years ago I even fell into depression while living with an authoritarian person who criticized and judged me continually and from whom I was not able to run from or to avoid. When I had to work more closely with this person, he never was interested in my opinion or ideas and he never put the cards on the table to allow me to have enough information so as to enter into the decision making. I tended to harshly judge this person and I was not able to see any good in him. To get things done, this person always resorted to force or manipulation, taking advantage of the structure of the organization, instead of drawing others freely to his idea or plan. If it were not for the obligatory structure of the organization, I wonder who would ever freely follow the ideas or programs of such a person? Sometimes when he harshly criticized me I would defend myself by revealing to him his rather great lack of human maturity; of course this infuriated him all the more. In the end, when I made a minor mistake, he quickly denounced me before our boss and I ended up loosing my position and the fruits of my work that I had become very attached to. After having the chance to separate myself from this person as well as being able to take some time off to try to cure the resulting depression, I began to read the Gospels as well as good spiritual books. During this time, though, I often could not help myself from going back over and over again in my mind the painful experiences with this person and my great lose which caused me to be very angry all over again; when I saw him coming along my path my stomach would go up into my throat and I would quickly take another route. Slowly but surely, while praying regularly, especially the Rosary, as well as going to Mass as often as I could, I began to understand better the words of Jesus in the Gospels. I began to realize that the strong words of Jesus were not just for the “Saints” as I had relegated these words in the past. I began to realize that I had to live all the words of Jesus without waiting for the one treating me badly to change: “Father forgive them for they know not what they do” (Lk 23:34). My eyes began to be opened to see that I was a hypocrite every time I said the words of the Our Father, “and forgive us our trespasses as we forgive those who trespass against us.” For the first time I began to understand more deeply the meaning of some of the pertinent parables and words of Jesus especially regarding the absolute need to forgive others totally from the heart. I began to also see that when I was not able to forgive and love this person as he was, I was not hurting or getting even with him but rather I was only hurting myself creating all kinds of interior tensions and sleepless nights. Revenge is like a poison that you want to give to the offender but you end up swallowing it yourself. The parable of the unjust servant finally came alive to me (Mt 18:23-35). The unjust servant owed an incredible sum of ten thousand talents to the king (a talent was more than fifteen years’ wages of a laborer). The king forgave him the debt. But the unjust servant did not forgive his fellow servant who owed him only a hundred denarii (the denarius was a day’s wage for a laborer). When I finally began to realize that my sins were so great that Jesus would have come down to earth and suffered and died on the cross to atone for my sins alone, I was more able to forgive the one who often humiliated me and criticized me and drove me into depression. I realized that this person has by nature a strong character like a bulldozer just as his father. I began to find real excuses for his behavior; he is a hard and generous worker; he gets a lot done. A person with this type of character very often does not realize how much he causes others to suffer. I could finally understand, what a good friend once told me, that I tended to analyze to much the difficult situations instead of seeing with the eyes of faith to believe that every situation that I found myself in came from a God who loves me immensely. I began to see that I had run from and tried to avoid the sufferings and crosses that Jesus had precisely given to me for my sanctification. With the help of the writings of the saints and especially holy people alive today, I began to recognize Jesus crucified specifically in this particular suffering and humiliation. Thus in a real sense I acted just like Saint Peter when he denied Jesus three times. I too went to Mary, as Peter did, which helped me to finally come back and pick up the crosses that I had abandoned so often in the past. I felt like St. Francis of Assisi who was able to overcome his aversion for the lepers. From the writings of the saints I am convinced that if we do not totally forgive those who have offended us, even very acutely, we run a very grave risk of loosing eternal life. I have now begun sending nice greetings to this person by email as well as being the first to say, with a smile on my face, hello to him when I see him. To take this step I also needed a lot more humility because by treating this person in a nice way, it seemed to me that I was admitting to him that he was right and I was wrong; I had held a type of grudge or vengeance in my heart (Mt 18:22; Rm 12:19). But after taking this step, Jesus gave me a new found peace which was accompanied by a greater interior freedom since I did not feel anymore the great need to avoid this person or others with a similar dictatorial or uncharitable character. If I do not love the disagreeable persons, what am I really offering up to God? (Mt 5:44-48) Perhaps God has given me more grace and thus expects more holiness of life from me (Lk 12:48)! When I die, I do not think that I would like to be judged as I had judged many people in the past who had caused me to suffer a great deal (Mt 7:1-2). But beyond this particular example, I began to discover that all the crosses that I had avoided or abandoned in the past were actually the greatest gifts that Jesus had given me. I began to not only recognize Jesus crucified and abandoned on the cross in each and every suffering and sorrow but, with the grace of God, I began to be able to embrace and to even love these precious gifts that Jesus sends to me. “For the Lord disciplines him whom he loves, and chastises every son whom he receives” (Heb 12:6). 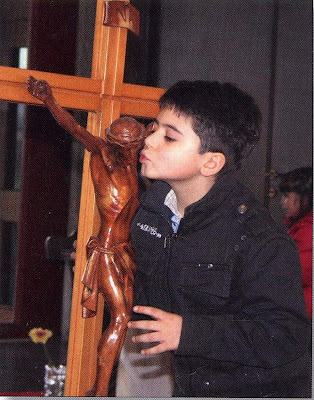 With the help of the charism of unity of Chiara Lubich it was revealed to me that Jesus crucified and abandoned on the cross, in person, hides himself behind every suffering and sorrow. Thus I gradually began to recognize, embrace and love Jesus crucified precisely in these difficult moments and situations and persons. 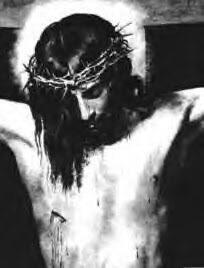 I see better now that Christ crucified is the center of the universe, and how each of us react and deal with Christ crucified in our lives in the form of every kind of suffering and sorrow will determine where we will spend eternity, either in heaven or in hell. We are not computers in which one can change the program quickly and easily. It took me years of perseverance, with a lot of good will, to arrive at this conviction and understanding in the most fundamental truths of our faith; it took me even more time to live and put into practice what I had learned. The longest journey in the world is not the 25,000 miles around the earth but rather the 15 or so inches from the brain to the heart! A good example of this discovery can be found in all of the saints, but I would like to very briefly give a striking example of how St. Teresa of the Child Jesus dealt with her sufferings. One morning St. Teresa woke up to discover that blood had come out of her mouth due to the tuberculosis that eventually lead to her death. St. Teresa did not say I had a mouth full of blood. Instead she said: “My Spouse has arrived.” She recognized Jesus precisely in her effusion of blood. I have found a new freedom that I never had before. I understand much better now the writings and especially the example of so many saints regarding suffering in general. Not only St. Francis of Assisi or St. Padre Pio but all the saints. St. Rose of Lime wrote: “Would that mortal men might know how wonderful is divine grace, how beautiful, how precious; what riches are hidden therein, what treasures, what joys, what delights. If they but knew, surely they would direct their energy with all care and diligence to procuring sufferings and afflictions for themselves. Instead of good fortune all men everywhere would seek out troubles, illness and suffering that they might obtain the inestimable treasure of grace. This is the final profit to be gained from patient endurance. No one would complain about the cross or about hardships coming seemingly by chance upon him, if he realized in what balance they are weighed before being distributed to men.” These words are not just for “saints” as I once thought. They are words for everyone who loves Love Himself. It is not by chance that our all-knowing God chose the cross as the primary means of our salvation. If more people of good will would discover this profound truth, I believe there would be sold and consumed much less Prozac and Zyprexa as well as much less dependence on psychiatrists who are not able to even fathom these spiritual truths! As my prayer life deepens and my walk with the Lord progresses, I can now thank God from the bottom of my heart for my difficult experiences because I have come to realize and believe that my personal relationship with Jesus Christ, “and him crucified” (1Cor 2:2), is the real eternal value, not a prestigious position or title or career or great projects, even Godly projects, as I once thought. These painful experiences helped me to detach myself from those things that end with this life, and to discover, appreciate and seek those things that last for eternity. I realize now that before these excruciating loses, God was not first in my life. More and more I am learning from Jesus and the saints to not wait for Jesus crucified to find me as I relax in my comfortable habitat, but to seek Him in the unpleasant persons, the sick and elderly, the AIDS victims, the drug addicts, the ones that the world has rejected or eliminated just as they rejected and tried to eliminate Jesus on the cross 2000 years ago. 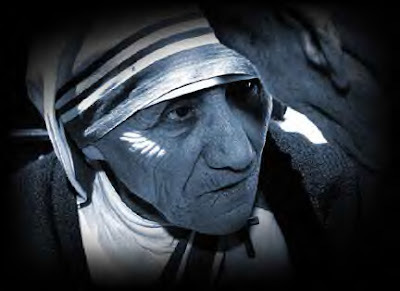 Blessed Mother Teresa of Calcutta sought out and recognized her Spouse precisely in these outcasts and dying people on the streets of Calcutta and around the world. As St. Francis of Assisi also wrote, “When we give, we receive” (Lk 6:38) So encourage and give to others by sharing your spiritual gifts and experiences of living the Gospel with others, especially the concrete experiences of coming to recognize, to embrace and to love your Spouse. Alleluia!!! Spiritual strength gives one a positive approach to life. When you leave no space for negativity to enter in your life, you will begin to see feel the fulfillment and energy inside you and around you too.